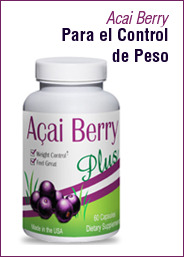 Think of Acai Berry Plus as a way to get on the fast track to weight loss in a natural, gentle approach. If your serious about loosing weight and getting healthy, then Acai Berry Plus is exactly what your body needs! Aloe Vera juice is made from the nutritious inner gel. Aloe Vera juice has natural detoxifying powers that ease constipation and cleanse the bowel. The residues that accumulate within the colon are loosened and naturally dispersed with regular consumption of aloe vera juice. (UÑA DE GATO) Antitumor, anti-inflammatory, strengthens the immune system, helps control blood pressure, helps with respiratory problems, gastritis, heartburn, ovarian and uterus cysts. Healthy blood pressure & circulation,Improves the cardiovascular system by strengthening the valves of the heart, Improves oxygenation of the brain, Strengthen memory and concentration, Strengthens healthy circulation in the legs, Excellent to treat varicose veins, Reduces numbness of arms, hands and leg cramps, Helps with hemorrhoids problems. Hydrolyzed collagen is often used as a general protein source in body building products also promotes joint health, nourish cartilage and bones and help athletes recover from exercise and sports-related injuries. Cleanses the organism, Increases energy levels, Better absorption of nutrients, Better looking skin, Overall healthful feeling. Effective for the control of high glucose levels, helps the pancreas in the insulin production, and to better metabolize sugars and starches, controls the appetite for them, is also used for weight control. Our exclusive formula provides a synergistic blend of fruit enzymes, to aid fighting gases, bloating, heartburn, reflux of food and stomach acids into the esophagus, and all other digestive disorders, improves digestion allowing for a better absorption of food. L-Carnitine is a key nutrient in the body's production of cellular energy. L-Carnitine also allows for fatty acids to undergo beta-oxidation in the mitochondria of the cells. L-carnitine serves as a "gatekeeper," and is responsible for moving the fatty acetyl-Coenzyme A molecule into the cell for utilization in the energy processes. Liver detoxifier, helps to metabolize fat and lower cholesterol levels, triglycerides, reduces symptoms of fatigue and nausea, helps the functioning of the gallbladder and the expulsion of stones in the gallbladder, fights bad breath and body odor, helps reduce skin blemishes. Formula prepared for nutritional support of women's endocrine system, especially changes related to the female menopause and menarche, helps with the symptoms of menstrual pain, sweating, vaginal dryness, mood changes and temperature, hair loss, increased weight, etc. Combination of herbs to help remove and eliminate kidney stones and stones in the gallbladder . Combination of vitamins, minerals and herbs that strengthen the nervous system and help to relax the body. Copyright © 2019 Cidma Center. All Rights Reserved.